Ah, Asura's Wrath. The game that allows you to punch heavily armed Buddhas and giant elephants. If you are planning on picking up the game early in Japan, good news. 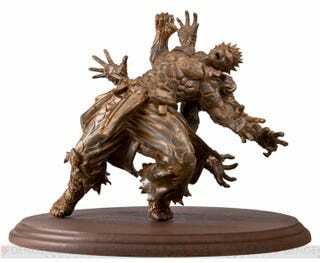 Capcom is giving these statues to lucky customers who buy the game's first pressing. The figure is limited to only one hundred pieces, meaning only a hundred players will snag the statue. Have a look in the above gallery.